Egypt offers a bright spot for natural gas development, a lone bright spot in an energy world undergoing harsh austerity. The Financial Times reports that the blackouts have eased a bit since 2015. 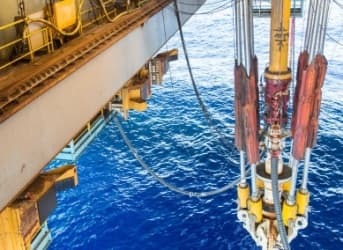 But a more enduring solution could soon arrive as Italian oil giant Eni develops the gigantic Zohr natural gas discovery in the Mediterranean Sea. The field could hold 30 trillion cubic feet of natural gas, enough to make it the largest gas discovery ever recorded in the Mediterranean. Eni announced the discovery in the summer of 2015, an event that was so exciting that the Italian company fast tracked its development. Egypt also hopes that other companies like BP will make other natural gas discoveries. BP is looking to develop its gas discoveries in the Nile Basin. But for Egypt, the Zohr project looms large, which Wood Mackenzie says could be “transformational” for the country. Eni says that Zohr is expected to come online in 2017 and produce 2.6 billion cubic feet per day by 2019. That is the equivalent to 40 percent of Egypt’s total gas production in 2015. Eni will have a ready and hungry market in Egypt, and the gas could help erase the country’s energy deficit.